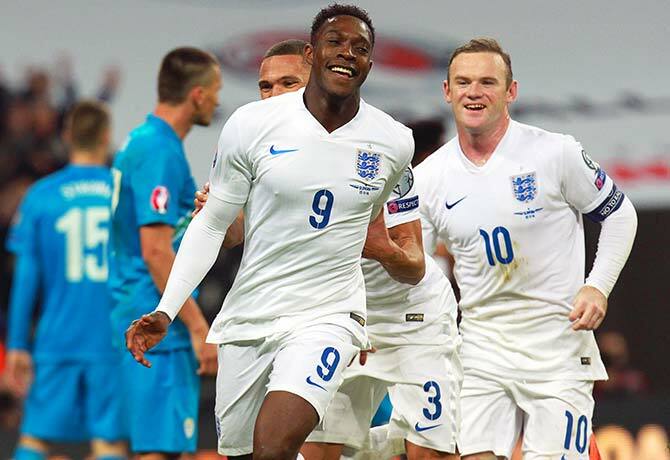 Friend turned foe: Will Danny Welbeck show Wayne Rooney the grass is greener on the other side? After a temporary hiatus due to the mandatory international fixtures, the Premier League returns this weekend, and there’s no better headliner than Manchester United’s visit to the Emirates to face Arsenal. In the early 2000s, this fixture was usually a 1st vs 2nd type of encounter, but how the mighty have fallen. First it was Arsenal and its inability to win a trophy (until last year’s FA Cup, of course). Now, Manchester United seems to be in its own slump too, ever since Sir Alex Ferguson ended his reign some time ago. So, it’s now 6th vs 7th, and neither team can afford to drop any more points. Arsenal’s last match ended in a surprise defeat at the hands of Swansea, while United laboured to a victory over Crystal Palace, having lost to Manchester City and drawing against Chelsea prior to that. Louis van Gaal’s task hasn’t been any easier with the injury crisis his team is facing. Will they even have enough players to fill the bench, or will the likes of Paddy McNair and his band of United youths come to their rescue again? Danny Welbeck will be the centre of attention as he faces his boyhood club, so it’ll be interesting to see how he fares against the team who ditched him because he “wasn’t good enough”. Surely he’ll want to prove a point to van Gaal. The Chilean has scored 12 goals in all competitions for Arsenal so far this season, with eight of them coming in the league. His desire has been infectious to the Gunners but at times he does appear to be a one-man army. If Arsenal are to get anything out of this game, expect Sanchez to play a key role. The Manchester United and England captain is fresh off celebrating reaching the century mark for his country, with a goal in the 3-1 win over Slovenia. He will be looking to replicate his goal-scoring form on the domestic level, and will pose many problems for the Arsenal defense. It was a stalemate the last time these two met at the Emirates, and it was a 1-1 draw before that, so don’t rule out another similar result this time round. Log on to the all-new www.RedCardConnect.com for exclusive articles, interviews, radio shows & videos of the Premier League, Singapore & the world of sports. Ahmad Khan (@AhmadKhan12) is a presenter for #RedCardConnect. He has the potty idea that football makes the world go round and is convinced that the beautiful game forges greater bonds than the United Nations. Call 6281 1898 and join him in his rant about football every weekend just before the EPL matches on #RedCardLIVE.